Jacobs: I Want To Take Canelo’s Head Off and Prove I’m The Best! Daniel Jacobs is prepared to go to war next month, when he faces Mexican superstar Saul “Canelo” Alvarez. 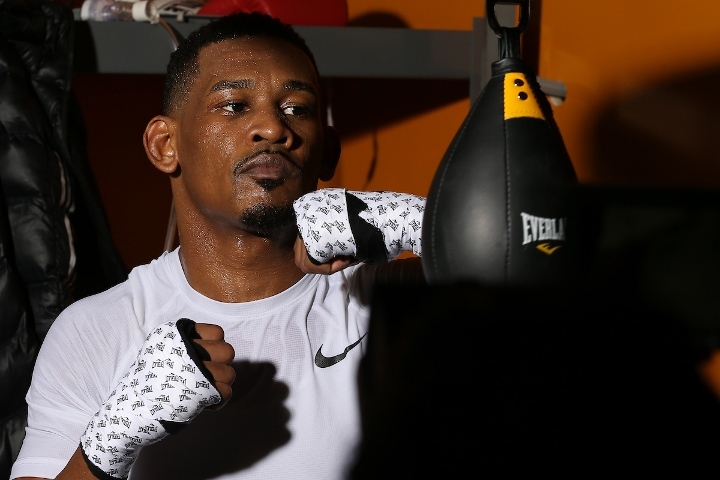 On May 4th at the T-Mobile Arena in Las Vegas, Jacobs will collide with Canelo in a unification showdown with the IBF, WBA, WBC middleweight belts at stake. For Jacobs, the contest is his biggest opportunity since losing a close twelve round decision to Gennady Golovkin in March of 2017. While the two fighters have been very pleasant with each other and discarded any trash talk in the pre-fight build – Jacobs is throwing any mutual respect out the window when they step in the ring. Jacobs intends to take the fight to Canelo from the opening bell, with a lot power and aggression. “I give Canelo all the respect in the world. He’s definitely top-ten, pound for pound. There are some controversial fights that he’s had that where I thought he lost, including both Golovkin fights. But I respect any man that has the courage to fight as this is a kill or be killed sport, but that’s where the respect ends. As far as getting in the ring with him goes, I want to be the victor. I want to take his head off and prove that I am the best gladiator in the world,” Jacobs said. That’s my true intentions so there’s no respect when it comes to that. But we’re both gentlemen and in my opinion, we’re great ambassadors for the sport. But take that away, and it’s going to be a blood sport in the ring.